January | 2019 | COMMUNITY ACTION ALLIANCE FOR NSW (CAAN): HOUSING INEQUALITY WITH AUSSIES LOCKED OUT! Commissioner Bret Walker SC took aim at Mr Blair for insisting that the NSW Government’s controversial Menindee Lakes project should proceed despite the fish kills, and for suggesting that not doing so would “blow up” the Murray Darling Basin Plan. *The Menindee Lakes project is a proposal to save water by reducing the size of the lakes and emptying them more often to prevent water evaporation!!!! 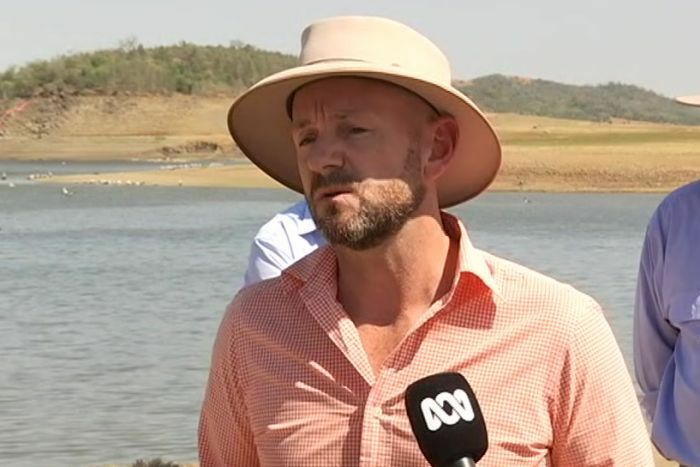 The Royal Commission into the Murray Darling Basin Plan has singled out NSW Regional Water Minister Niall Blair, describing his comments in the wake of the Menindee fish kills as “grossly irresponsible”. Mr Walker said Mr Blair’s warning was “presumably meant to menace the continued cooperative national endeavour to save the Basin from irreparable degradation”. “It amounts to saying that NSW will do what it can to destroy the plan if this particular highly problematic project is not guaranteed, in advance, to contribute to a reduction in environmental flows and a commensurate increase in irrigation intake,” Mr Walker said. *The Menindee Lakes project is a proposal to save water by reducing the size of the lakes and emptying them more often to prevent water evaporation, but federal authorities had raised environmental concerns about the plan. The timing of the fish kills and the royal commission’s scathing assessment of the NSW approach is highly problematic for the State Government as it faces a fight to retain the seat of Barwon at the state election on March 23. “He has his defences up and just kept pedalling the same line — ‘we are sticking to the plan’,” she said. What do you want to know before #NSWVotes on March 23? Ms Bates felt yesterday’s findings were focused on South Australia, and said people in Menindee needed the NSW Government to step up. “It doesn’t matter who’s in, both parties follow the plan in some way. I can’t see it changing. The State Government said it would release an interim response to the royal commission report today, but Mr Blair and NSW Nationals leader John Barilaro indicated they would resist any further cuts to the water entitlements of NSW farmers. 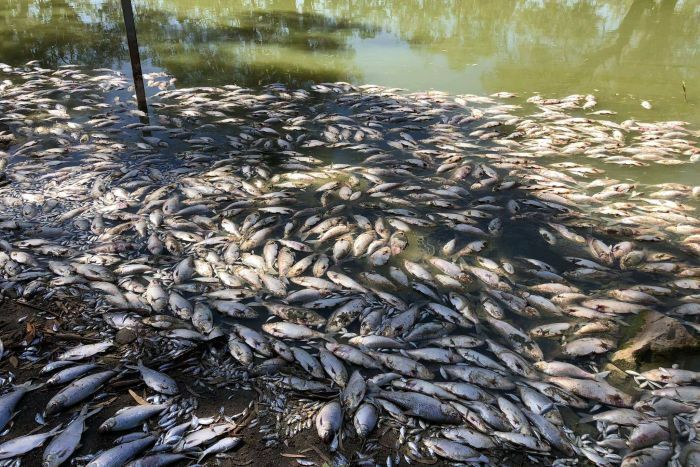 It took a million dead fish for Australia to pay attention to Menindee — now the people are worried their community’s days are numbered and the spotlight has come too late. In a joint statement they said “the gloves are off” when it comes to water rights. “We will fight tooth and nail for our rural and regional communities,” the statement said. 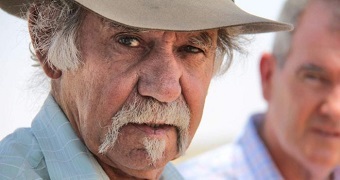 State Opposition Leader Michael Daley said the commissioner’s comments were damning of the Government’s handling of the water issues facing the Murray Darling. “There’s not hysteria in this report,” Mr Daley said. This week Prime Minister Scott Morrison gave the same speech his Treasurer, Josh Frydenberg, gave last week. That suggests it’s a speech they want to keep giving all the way to the election, which in turn means we’re watching the Morrison government draw its battlelines, on the economy at least. And while it’s fair to say neither of these speeches was long on policy detail, what made them almost interesting is that they were calling on a fight it’s far from clear the Coalition can win. The basic pitch seems to be that Australia’s prosperity, which is the result of what Frydenberg called the “invisible hand of capitalism”, is under threat if Labor wins the election because Labor no longer believes in it. Labor will risk a recession because it will tax more, while the Coalition’s belief in the free market will keep “jobs and growth” surging. Specifically, there will be 1.25 million jobs created in the next five years, though we’re not sure where, what kind or precisely how, other than by some belief that more tax cuts for small business will create them. By the lights of modern political history, this is all pretty conventional. And it’s a version of what the Coalition has said before elections for as long as I can remember. But this is a moment when the lights of modern political history are going out. Trickle-down economics, the conventional wisdom of merely a few years ago, is under historic assault. The fundamental idea that lower taxes will necessarily stimulate the economy and that companies will use the extra cash to pay us more and create extra jobs is simply not the gospel it once was. That’s why Malcolm Turnbull’s efforts to sell us company tax cuts failed so ignominiously. The problem is that this theory no longer chimes with the experience of swaths of people. As the economy has recovered from the global financial crisis, we’ve seen productivity rise, we’ve seen company profits increase, we’ve even seen executive pay climb. And while it’s true (and good) that we’ve seen jobs created, what we haven’t seen is wages go up. In fact, they’ve been basically flat for the past five years or so, especially in the private sector. That means that while the Coalition might only be asking us to believe no more than we’ve believed in the past, it is now asking this in a significantly different environment: one where electorates increasingly suspect the system is built to serve the interests of elites. So when Morrison warns us to fear Labor’s economic damage because “the economy is real, its impacts are real, and most importantly it’s all about people”, he neatly captures the most serious problem he faces. Yes, in a very obvious sense the economy is real. But in another sense it isn’t real at all. It’s an abstraction; an aggregation of millions of arrangements and interactions distilled into a series of numbers. But people’s lives don’t exist in aggregate, they exist in the particular. What we call the economy is experienced in lots of particular ways by lots of different people. And mostly, the broad, overarching numbers we use to define the economy aren’t directly experienced by any of us. Unless the circumstances are quite extreme, you do not experience an unemployment rate. What you experience is either your own employment or unemployment. What you definitely experience is whether or not you’ve had a meaningful pay rise in the last five years. And if you haven’t, it doesn’t mean much to be told the economy is growing. In fact, it’s probably irritating. Once people make this cleavage between theory and experience, it’s the concrete things that begin to be more persuasive. And here it’s a major problem for the Coalition in that it has almost nothing to say about wages that isn’t simply more theory. “By focusing on delivering a strong economy we create the right environment for wages growth,” was about all Morrison said on the matter this week. The problem is that if you believe the Coalition, they’ve been delivering a strong economy for years now and wages have gone nowhere. In those circumstances, you probably need a better pledge than “if you just keep waiting, the wages will come”; that you should trust the system that hasn’t delivered for you yet. Now look at Labor’s posture. What the Coalition calls “new taxes” Labor sells as closing loopholes that allow the wealthy to reduce their tax bill – negative gearing and refundable franking credits being prime examples. It is pledging to restore penalty rates, and focuses its tax cuts on individuals earning under $125,000 per year. In short, it’s stuff that is concrete, targeted at individuals, and badged as being all about “fairness”. In that way, it speaks the language of the moment; a language that would have been positively suicidal as recently as when Labor was last in office, but which is suddenly plausible. To be clear, there’s a vagueness to Labor’s offering. The Coalition asks an excellent question – not yet convincingly answered – when it asks how exactly Labor intends to create economic growth, rather than fairness alone. It’s also unclear precisely how Labor intends to tackle wage stagnation for those not eligible for penalty rates. To what extent, for instance, does it think wages are stuck because union power is limited? Does it plan to loosen those shackles? Would it, say, bring back the right to strike? Or does it have some post-collectivist idea we haven’t yet heard? Unfortunately, it’s unlikely Labor will seriously have to answer these questions if the Coalition’s main strategy is to appeal to our faith in capitalism. Of course, it’s possible the strategy will work; that we’ll discover that the turn away from capitalist orthodoxy is thinner than it appears and that faced with the prospect of taking the plunge into Labor’s scepticism, we baulk and become prodigal capitalists. But if not, we face the prospect of Labor’s economic worldview being triumphant but ultimately untested because the Coalition couldn’t find something relevant to say. Waleed Aly is a presenter on The Project. IN RESPONSE TO this article, and in reference to the March AFR Business Summit with a Keynote Speaker being a leading economist, Keyu Jin, who alleges that Australia will lose out if we do not follow the likes of World-beaters like the Balkans, Latin America and Africa who can now rely on the systematic flow of Chinese investment … at a price … but not that China wants to get hold of what “we have” … cough … cough … and all of it! The WORLD is a big place, and no doubt others too would like our commodities! And it would seem there are many other Nations that could provide us with cheap household wares that rapidly end up in landfill, or we could manufacture our well-made goods again … heaven forbid! What we are seeing is the Chinese are buying us out of house and home! And as a CAAN Commentator suggested PERHAPS we need instil fear in our commodities because the Chinese despite their love of money are even more superstitious so to counter their agenda we need instil bad “Feng Shui” practice in our housing designs blessed with the devil spirits. Then put the word out that our baby formula has been contaminated, and elephant tusks and rhino horns have evil voodoo, or we haven’t got a hope in Hades of stopping them from their buy-up of our Real Estate and everything else! How embarrassing this must be for all the generations of immigrants before them? How they must be cringing at the activities of their former homeland leaders from the Communist Party and the plans Xi Jinping has lined up for us and indeed the World! Shanghai | Australia will lose out if political sentiment is hostile towards China given other countries in Europe, Africa and other parts of their world are opening their door to the world’s second’s largest economy, leading economist Keyu Jin says. Professor Jin, a London School of Economics professor and a keynote speaker at The Australian Financial Review Business Summit in March, said China remained interested in buying Australia’s exports and investing in the country but a hostile attitude towards its economic growth could backfire. “China has vast interest in continuing its collaboration with Australia in terms of importing resources and also investing. But the political sentiment is not necessarily conducive for the collaboration … especially if Australia takes on a more hostile view towards China,” she said. Professor Jin’s comments came as Canberra faced more diplomatic uncertainty with China following the detention of Australian writer Yang Hengjun and Canberra’s support for a US-led ban against Chinese telecoms giant Huawei. Defence Minister Christopher Pyne this week signalled a tougher stance against China’s aggression in the South China Sea while also calling for greater political and economic engagement with Australia’s latest trading partner. “It would be unfortunate to let politics get in the way of development,” she said in an interview that took place before his speech. China’s relationship with the United States and its traditional western allies is in the spotlight following the arrest of senior Huawei executive in Canada and her pending extradition to the US. London-based Professor Jin, the Harvard-educated daughter of the China-led Asian Infrastructure Investment Bank (AIIB) president Jin Liqun, is a prominent economist and has often been characterised as a bridge between China and the west. Speaking by telephone from Davos where she told audiences that fears about China’s slowing economy had been blown out of proportion, Professor Jin downplayed the backlash against Huawei, which she said had the most advanced 5G technology in the world. “Huawei is going to be an ongoing issue, there is no doubt about that. I think Huawei feels it has been unfairly treated but in the end countries will make their own choices about whether they want to adapt the best technology that it is years ahead or not,” she said. The US filed a series of fraud charges against the company this week. The case further inflamed US-China tensions and followed confirmation by the White House on Monday that its top trade negotiators will hold two days of talks with a Chinese delegation led by Vice Premier Liu He on Wednesday and Thursday. Professor Jin said she was optimistic the US and China, which has signalled it is willing to make concessions, could negotiate a truce in the trade war which threatens global economic stability and would harm both countries. “There are growing hopes there will be a deal done because both sides clearly want it,” she said. While upbeat on China’s future economic prospects, Professor Jin said the world was heading for a financial recession triggered by US rate increases, the vulnerability of emerging markets and political issues such as Brexit. “None of that is looking all that good so I think there is a quite a big probability, or at least a knowable possibility, of a financial recession coming down the line given we are ten years due for a recession,” she said. She said China’s biggest challenge was reforming its financial system to ensure resources were redirected to the companies that needed them. China last week posted its lowest quarterly growth rate since the global financial crisis. China’s gross domestic product rose 6.4 per cent in the fourth quarter, in line with economists’ forecasts, while annual growth came in at 6.6 per cent, which was the lowest in 28 years. President Xi Jinping urged government officials to guard against unexpected financial risk. “I don’t think it is right to say that China’s growth has permanently slowed but let’s get prepared for that. I think China needs to sort out of some of its problems, mainly the financial system distortions that are preventing resources from being directed to more productive firms and firms that really need them,” she said. THIS is a document written to refute the misinformation and fear mongering circulating about the ALP Franking Credit Reform … it is a bit of a read … however it is important! *Under the current rules, individuals can transfer up to $1.6 million into a tax-free, retirement phase superannuation account. Photo: A hearing of the Franking Credit Inquiry in Dee Why, Sydney, in November. Have these people and retirees like them across the Nation been misinformed by the LNP? You betcha! Meanwhile the LNP through its policies is denying our families a future in their own country with the ongoing sell-off to foreign buyers facilitated by no legislation for the Real Estate Sector to prevent black money awash in our property!! DO SYDNEYSIDERS REALLY WANT MORE HIGHER DENSITY … Manor Houses and Mouldy Terraces? IT would seem the deve-loper lobby are seizing on the opportunity to revive their pitch for Medium-Density mouldy terraces again … ahead of a NSW Commission of Inquiry into the Construction Industry with Rowena Orr to run it. The NSW LNP have it all set up for ’em deve-lopers having rezoned our suburbs for higher density with the Medium-Density Housing Code and complying development; on lots as little as 400M2 so they can come in, buy-up your street, and build whatever they like! So when a survey company calls have a think about what it will mean! WHY? Because the Feds policies on high immigration, Visa Manipulation, 100% sell off overseas, and No Anti Money Laundering Legislation for the Real Estate Sector remain in place with this Sector deemed exempt from the AML Legislation as recently as October 2018! PLEASE SHARE this and many articles from CAAN to inform those aged between 18 to 34, renters and University Graduates so they will not be deceived by the Spin circulated about higher density! Sydneysiders are more comfortable with extra medium density housing in their suburb than they are with a greater number of high-rise towers – even those who live in crowded inner city areas. A new Ipsos poll on attitudes towards urban density conducted for the Committee for Sydney lobby group, underscores tensions about surging residential development amid the city’s population boom. It also revives debate about the NSW government’s medium density housing code, which aimed to make it easier to build terraces and manor homes but faced backlash from local councils last year. The poll showed attitudes towards increased density in Sydney remained somewhat split, often along a generational divide. It surveyed 901 people from across the Sydney region. The majority of people – about 53 per cent – supported increased density in “satellite centres”, such as Parramatta, Rhodes and Liverpool, and outer suburbs in the Hills District, northern beaches and Sutherland Shire. While 40 per cent of people supported greater density in the city’s core, 37 per cent were opposed. Forty-one per cent of respondents thought inner city suburbs such as Newtown, Woollahra and Neutral Bay should get more residential housing, compared to 42 per cent of people who were against it. However, the poll showed a preference for medium-density residences as opposed to high-density housing in all parts of Sydney. Half the people surveyed supported more medium-density housing in inner suburbs, compared to 23 per cent who opposed it. Forty-two per cent were against more high-density housing in those areas. More than half supported more medium density housing in the “satellite centres” and outer suburbs. Opposition to increased development was highest when people were quizzed about their own area. Overall, 47 per cent of respondents were supportive of more medium-density housing where they lived, while only 25 per cent were in favour of more high-density residential development nearby. “People are clearly much more comfortable with medium density than high density, particularly when looking at their own suburbs,” Ipsos research institute director Stuart Clark said. The NSW government faced widespread opposition to its medium-density housing code, which prompted a string of councils to seek a deferral of the planning rules to consider the impact of increased density last year. That code had aimed to help boost supply of “missing middle” housing that offered an alternative to high rise and detached dwellings as the government seeks to build greater density into Sydney’s neighbourhoods. Committee for Sydney acting chief executive Eamon Waterford said the broad support for medium-density housing in the polling data suggested policy-makers might need to revisit the code as the city’s population continued to climb. “Really there are only two types of housing that are being built in Sydney at the moment – low-rise development and high-rise development. The poll showed support for increased density was greatest among people aged 18 to 34, renters and university graduates. Those aged over 50, retirees and homeowners were most likely to oppose it. The federal government’s success in meeting a newly minted target to create 1.25 million jobs in the next five years will, like its predecessor, likely hinge on population growth, say economists. 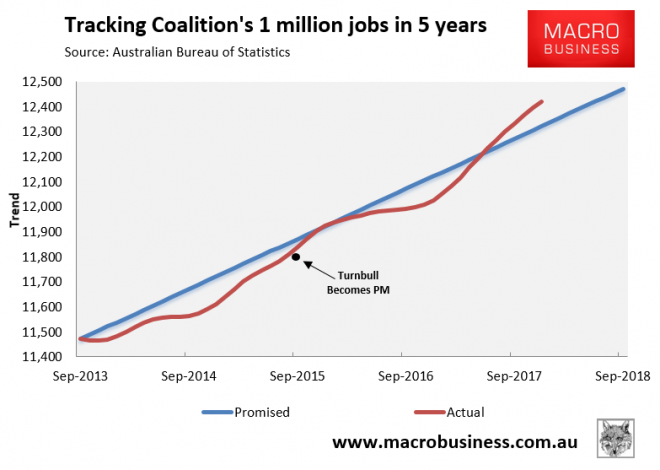 Prime Minister Scott Morrison unveiled the new target on Tuesday after the government last year met its target to create 1 million jobs in five years after its election in 2013. 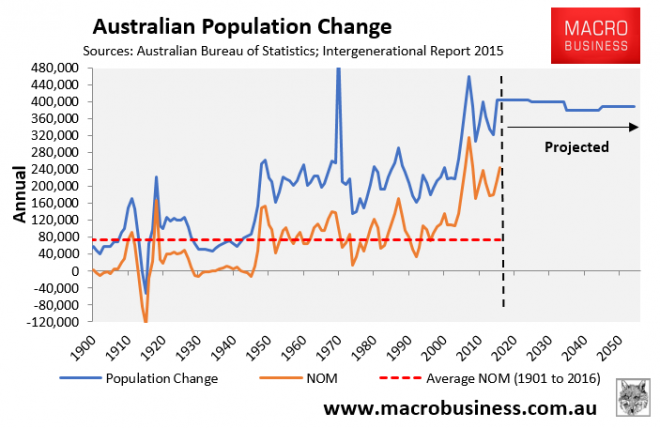 “Our job growth has been high in terms of numbers but that is because the population growth, mainly immigrants, has been high,” Bob Gregory from the Australian National University Research School of Economics said. Professor Gregory said the federal government’s promise to creating 1.25 million new jobs in the next five years will depend in part on immigration numbers. “If the government cuts immigration numbers substantially, the job growth will also fall so that they could not achieve 1 million,” he said. 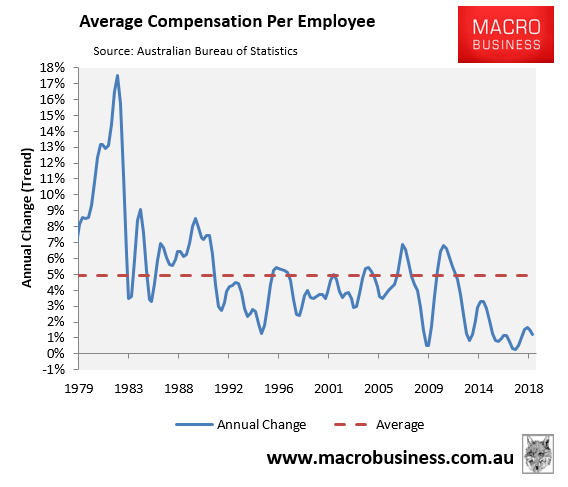 Professor of Economics at the University of New South Wales Richard Holden said flat wages growth was concerning and the unemployment rate could be lower, but overall the picture was not bleak. The number of full-time jobs created has been high by historical standards and “there is not a big move to part-time and casualisation supported by the numbers”. “Labour force participation rates in Australia are pretty high by world standards,” he said. A lot of people want to work part-time. *A report by the Australia Institute’s Centre for Future Work to be released on Wednesday shows that almost half the new jobs created between 2013 and 2018 were part-time. “It is only because of the reduction in average hours worked, driven by part-time work, that the million-job threshold was reached and exceeded,” the report says. Report author Jim Stanford said the 2013-2018 period marked the 10th time in Australia’s history that more than 1 million jobs were created over five years. The first time was 30 years ago. Dr Stanford said that given the size and growth rate of Australia’s working age population, the labour market must create more than 1 million jobs every five years to keep up with population growth and to maintain unemployment at its current rate. Minister for Jobs and Industrial Relations Kelly O’Dwyer said more than 1 million jobs have been created under the Coalition government but under Labor, the unemployment rate increased by 1.3 per cent. Anna Patty is Workplace Editor for The Sydney Morning Herald. She is a former Education Editor, State Political Reporter and Health Reporter. Her reports on inequity in schools funding led to the Gonski reforms and won her national awards. Her coverage of health exposed unnecessary patient deaths at Campbelltown Hospital and led to judicial and parliamentary inquiries. At The Times of London, she exposed flaws in international medical trials. SQM Research’s property analyst Louis Christopher said, despite recent falls, Sydney and Melbourne’s property market are still overvalued. With an election a few months away where negative gearing is at play, and the banks are still being very draconian on providing loans to the market. HOWEVER, from Juwai prediction that Chinese buyers will be attracted by the price fall, and that their participation in the Australian property market especially for “new homes” will be maintained! It would seem with tightening of bank credit that will lessen opportunities here for Australian First Home Buyers!! Note nor has the Marrickville project been without community objection! In a gloomy outlook for the country’s largest real estate developers, UBS says Mirvac, Lendlease and Stockland face a higher risk of settlements falling over because of their exposure to projects sold to buyers at the 2017 peak of the property cycle. Australia is in the midst of a property slump with apartment prices falling 7 per cent in Sydney and 2 per cent in Melbourne. Lending is down 22 per cent from its peak as the big four banks tighten the screws on investors, raising standard variable interest rates and ramping up scrutiny of borrower’s applications. Apartment sales make up a significant chunk of earnings for Mirvac, in particular, over the next three financial years. In 2020, nearly a third of the group’s earnings will come from settlements in Sydney and Melbourne. The most at risk projects are in Sydney’s Marrickville and Olympic Park which “appear already out of the money” because Sydney’s apartment price index has fallen 5 per cent since launch, the analysts said. St Leonards could also become an issue were prices to fall a further 5 to 10 per cent. “We are less concerned about Lendlease’s settlement risk given the price growth since the 2015-16 launch dates,” Mr McCasker and Mr Druce said. Another major developer, Stockland, has minimal exposure to the apartment market but is banking on substantial earnings from land sales for new homes. The number of buyers cancelling contracts on land purchases is presently low, but UBS warns that tightening credit, price falls, incentives and lower deposits will increase the number of struggling buyers. There has been a documented rise in speculative land buyers trying to offload their purchase contracts on Gumtree and other sites, which adds to the risks. Mirvac, Stockland and Lendlease declined to comment on the report, saying they are in the ”blackout” phase before the release of their interim reports for the December half, due in the coming weeks. “We expect Stockland’s second half settlements to disappoint as cancellation rates increase and settlement times extend,” UBS said. Property experts believe there is more pain to come for the sector. “This downturn still has some legs to run yet,” he said Tuesday. “We think there will be more price declines,” he said. 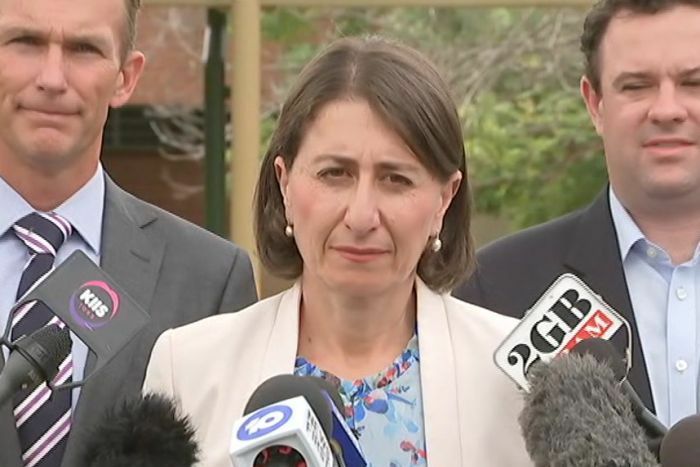 The Australian’s NSW Political Editor Andrew Clennell says the Berejiklian government will be breathing a sigh of relief in light of Wednesday’s Newspoll numbers with the two-party-preferred vote at 50-50. There you have it folks … we KNOW we have plenty to PROTEST about! And why we want to hear more from Michael Daley about what his Government will do to take the pressure off NSW Families with the cost of quality affordable SHELTER a major factor! Here is a small list of the LNP Damage! The SCOMO Government made the Real Estate Sector EXEMPT from Anti-Money Laundering Legislation in October 2018 … so with the house prices dropping the high influx of foreign buyers will be maintained! IN NSW the Libs allege they have been working hard to build a stronger NSW to take the pressure off families … how come with the lowest wages growth, contract work = insecure work they can claim this? Including the sell-off of Our Crown Lands! The NSW Libs allege they have created more new jobs but … in fact the jobs growth has been weak barely enough to absorb the population growth! And Australians have to compete with Visa workers willing to accept slave rates to gain permanent residency! The infrastructure cannot catch up to the population growth … it began from behind in the first place! Sydney has been ripped apart with the closing of the heavy rail network for months from Chatswood to Epping; more traffic clogging Epping Road, Victoria Road, and all those in between to be replaced with a dinky privatised Metro owned by Hong Kong Developer Consortium MTR for more Towers out to Rouse Hill! The Light Rail Fail for the Eastern Suburbs that has meant much disruption and closed down businesses with fragmented replacement public transport. WestCONnex and its tentacles paid for by taxpayers for Transurban’s benefit, and now homes are cracking up en route! And more! Many of Our Public Schools have demountable classrooms covering what were playgrounds … again NSW INC has not been able to catch up with the population growth! HAVE you received a letter in the mail from your local LNP MP much of which we have been able to refute as outlined above? REMEMBER all the FACTS we have been sharing with you since November 2014, tell others, and VOTE the LNP OUT!